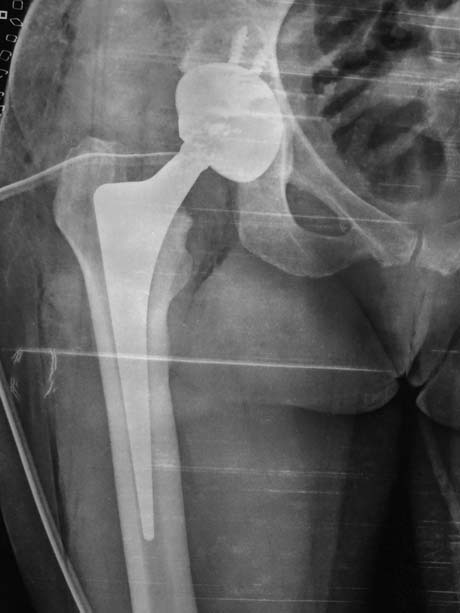 ALMIS - MINIMAL INVASIVE HIP ARTHROPLASTY | GEORGE D. GOUDELIS MD. Ph.D. The minimally invasive joint replacement surgery of the hip (ALMIS), is a modern concept for the treatment of osteoarthritis of the joint. 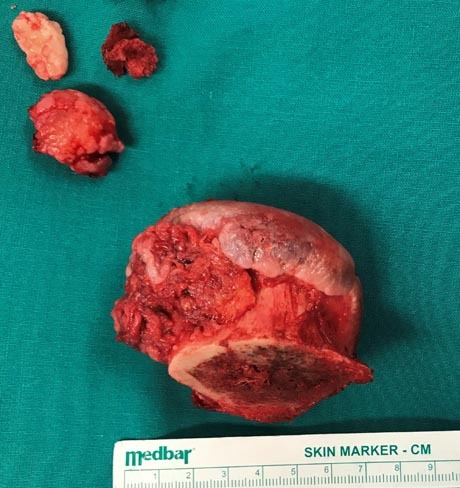 This method enables the orthopedic surgeon to complete the surgery without cut muscle groups that surround the joint, but to distinguish between them and will reach the bones which will replace the hip. Recommendations for surgery are based on a patient's pain and disability, not age. 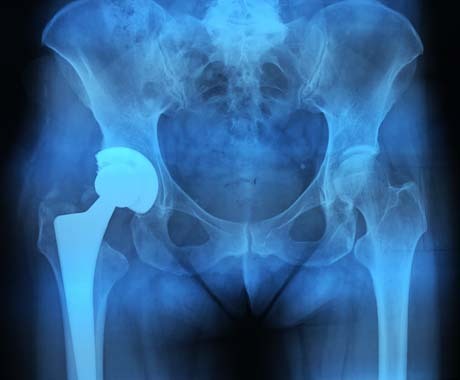 Most patients who undergo total hip replacement are age 50 to 80, but orthopaedic surgeons evaluate patients individually. Total hip replacements have been performed successfully at all ages, from the young teenager with juvenile arthritis to the elderly patient with degenerative arthritis. 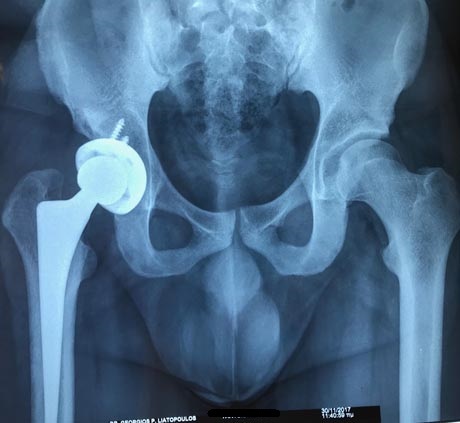 The surgical method applied in recent years to major hip surgery centers worldwide are increasingly replacing the hitherto conventional methods. The surgical method applied in recent years to major hip surgery centers worldwide, replacing the conventional methods. 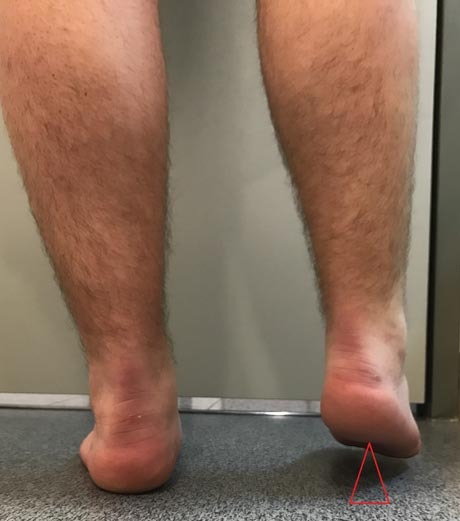 22-year-old patient with end-stage arthritis due to the LEG PERTHES CALVE disease which started when the patient was 12 years old. 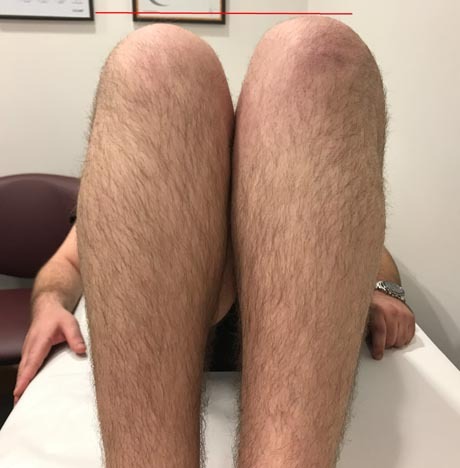 LEG PERTHES CALVE disease is one of the type of osteonecrosis of the hip that occurs in teens and its etiology has not been clearly elucidated to date. 20 days post op. The patient walk without pain and limping. 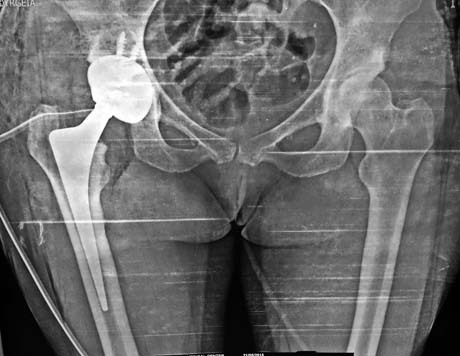 The method of minimal invasive hip replacement ALMIS enables and in selected patients with dysplasia of the hips to be treated by taking all the advantages of this new method. 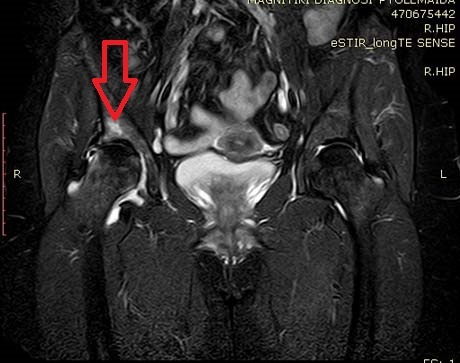 Female patient 44 years old suffers from severe arthritis in both hips of those due to developmental hip dysplasia - DDH. 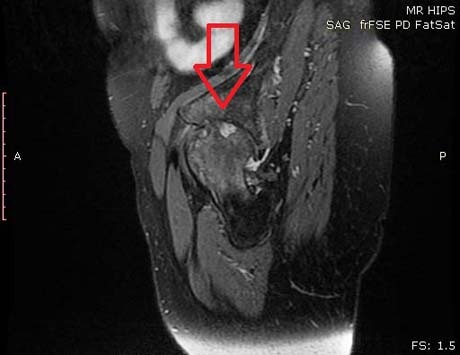 The left hip is in subluxation (upward displacement of the femoral head) due to congenital dysplasia of the acetabulum, so that the left leg is shorter and the patient has limping during walking. 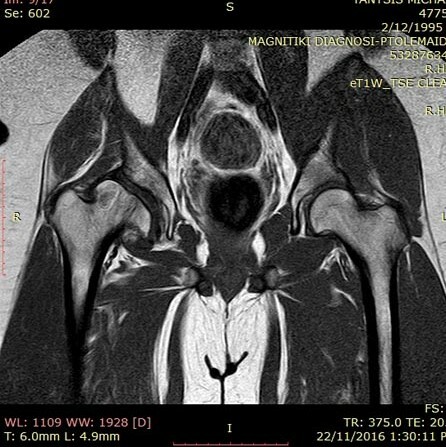 Αctive woman of 65 years, suffering from rheumatoid arthritis which among others has hip arthropathy bilaterally. 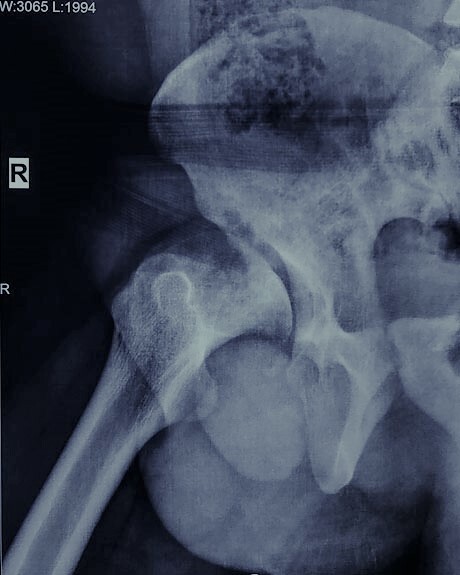 Female 70 years old and 97 kg weight, suffering from severe osteoarthritis in his right hip resulting in the last year to permanently use crutches to walk due to severe pain in the joint. 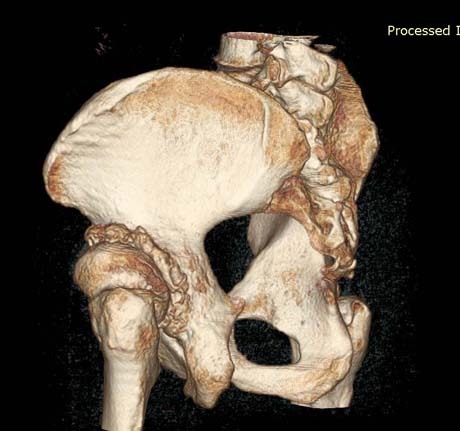 The patient underwent minimally invasive hip replacement by a new method ALMIS. Raising and walking the patient was the same day of surgery and its outcome was excellent. 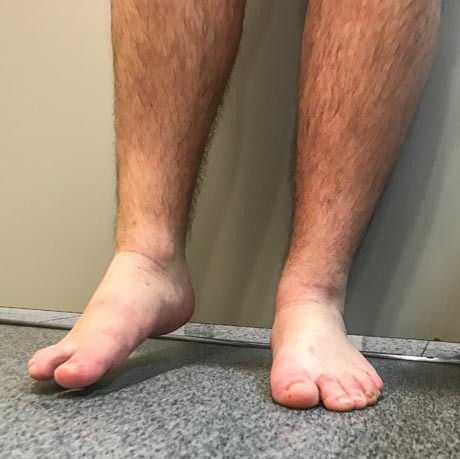 The ALMIS method may be applied to patients with a large body weight, allowing for them an opportunity to regain their mobility without pain and difficulties. Pre op X-ray. 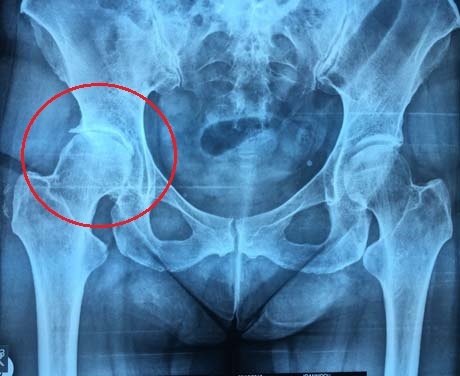 Hip degenerative osteoarthritis, bilaterally. 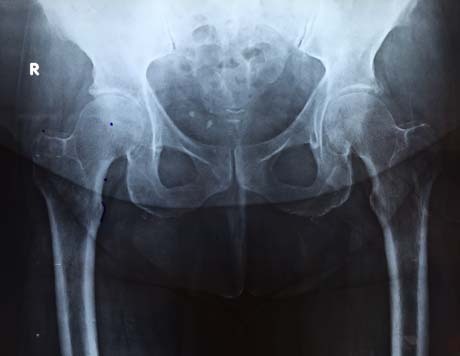 Female 66 years old suffering from advanced osteoarthritis in her right hip which creates intense pain when walking and severe discomfort during sleeping at night. 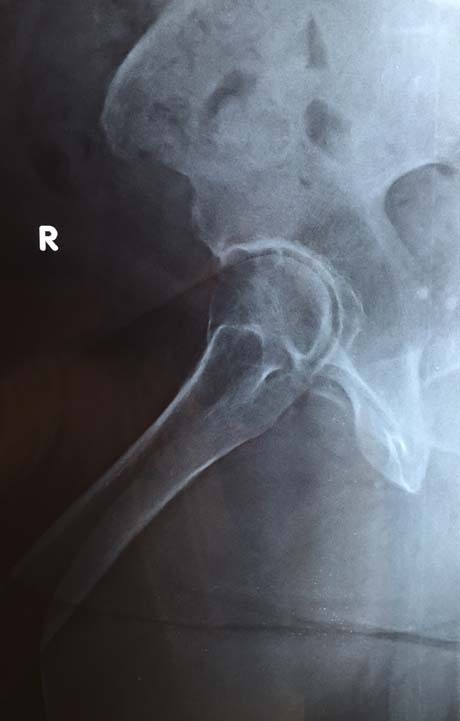 It is very typical rapid development of arthritis as reflected in chronological ranking in the patient X-rays of the hips. 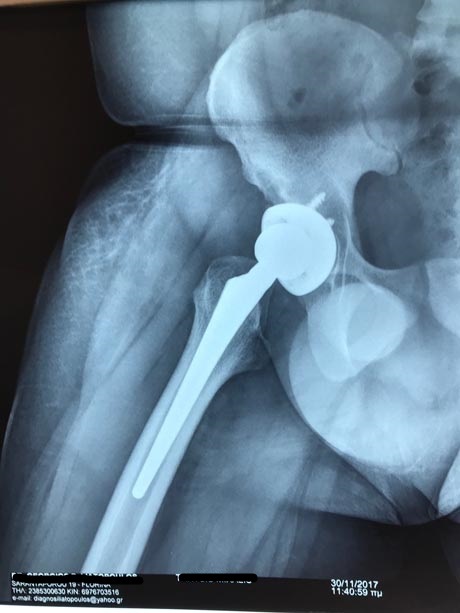 The patient underwent minimally invasive ALMIS hip arthroplasty. The mobilization of the patient was rapid, the pain disappeared and the adaptation of its daily activities easier. 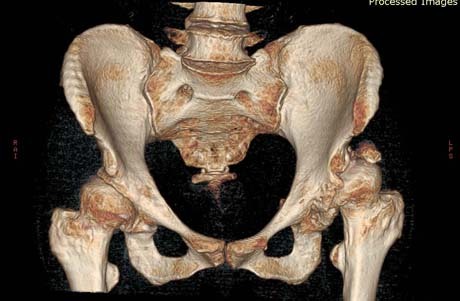 Female 39 years old with advanced arthritis in her right hip. 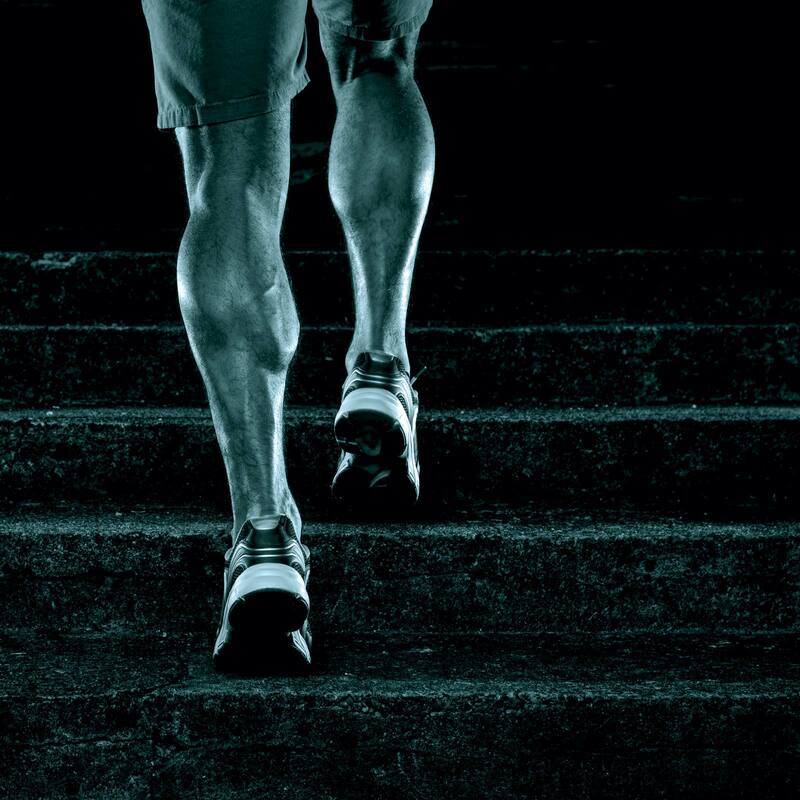 Pain is the main symptom of the patient as well as the limitation of anatomical movements of the joint. 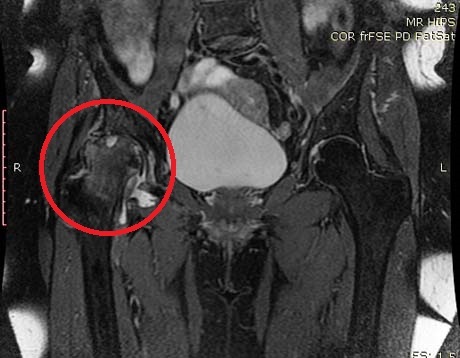 Because the patient is relatively young, the problem in her right hip affects the quality of life significantly limiting the social and professional activities. 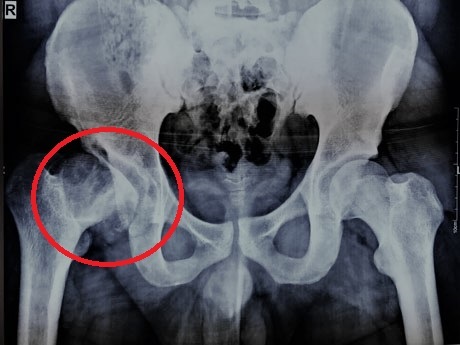 The method ALMIS used to address femoral hip fractures to perform bipolar hemiarthroplasty, with all the advantages of the process, ensuring the immediate mobilization and full weight bearing of the affected limb. This helps the patient to get out quickly from the vicious circle that creates a hip fracture thus avoiding the complications of immobilization in bed.